Over the past couple of months, Vine has taken the social media world by storm. Vine is a by-product of Twitter which shows a six second piece of constant footage or a stream of Polaroid-like shots, all done through a smartphone. Vine is said to capture the “now” better than the likes of Instagram. Companies have been quick to notice Vine’s potential in marketing and here is a look at two organisations which have harnessed Vine’s ability. Lowes is an American based store which sell home appliances and offers advice and ideas for DIY and home improvement. Lowe’s where quick to use Vine to advertise their services. They created a series of 6 second Vines entitled #lowesfixinsix. 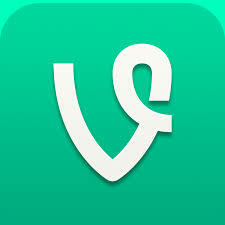 Their Vines where very practical and offered their followers handy everyday improvements or “Life Hacks”. An example of this would be a Vine they created showing the viewer how to get rust of a knife using lemon juice. The videos strike a perfect balance between brand promotion and usefulness whilst gaining very positive responses from their followers. Lowe’s have also had a large surge in new followers since they started releasing these Vines. While six seconds is a very short time to explain a tip, Lowe’s where very creative in how they used the stop motion functionality of the Vine app and showed how easy their improvements could be. As a vine Video plays in a loop and is only 6 seconds long, it is easy for the viewer to watch the video repeatedly. ASOS is a UK-based online-only retailer. Recent research showed that people preferred the in-store shopping experience in comparison to online shopping. The research showed that people preferred to go into the shop with friends and try on the product before buying. The concept of buying a product you only seen and having it arrive in a box didn’t seem quite so glamorous. ASOS wanted to try and change the mindset and set about their #ASOSUnbox campaign through VIne. Their goal was to have ASOS customers post Vines of them opening their delivered products. The campaign gained a good response and evoked creative Vines from their customer whist getting people talking about ASOS as a whole. This campaign enticed customers to post their Vines by offering prizes for the best videos. This put the creativity into the hands of the customer and Vine specialists, gaining a great response and in turn a lot of entertaining Vine’s where created for the brand. What can Vine do for Your Company? Vine is a great tool in adding more personality to your brand. It can be used to show behind the scenes of your company and interact with customers more on a human level. Vine provides an opportunity for both the brand and its customers to be creative, especially when done through the format of a competition where the best Vine’s can win prizes. Vine videos are short and easy to share with top vine’s getting up to 45,000 retweets, resulting in high exposure of your brand. This entry was posted on Tuesday, 11:07 am and is filed under Uncategorized. You can follow any responses to this entry through RSS 2.0. You can leave a response, or trackback from your own site.